Discover, share and build better integrations. Salesforce customers have the opportunity to take advantage of Salesforce’s powerful data architecture and analytics platforms. A big challenge to overcome is migrating and integrating data from other systems at a low cost. Only when data is migrated and integrated are you able to see the full power of the Salesforce platform for 360-degree views, alerts, and analytics. 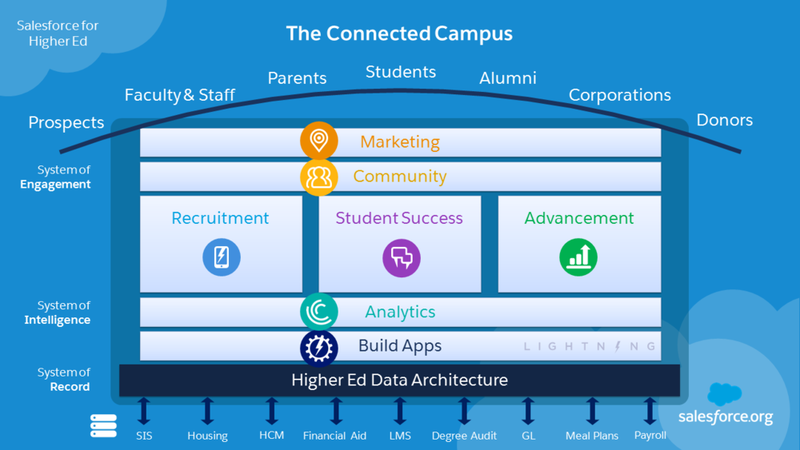 For the education market, the Salesforce Connected Campus vision provides a next-generation system of engagement with connected systems across institutions, systems, schools and districts. 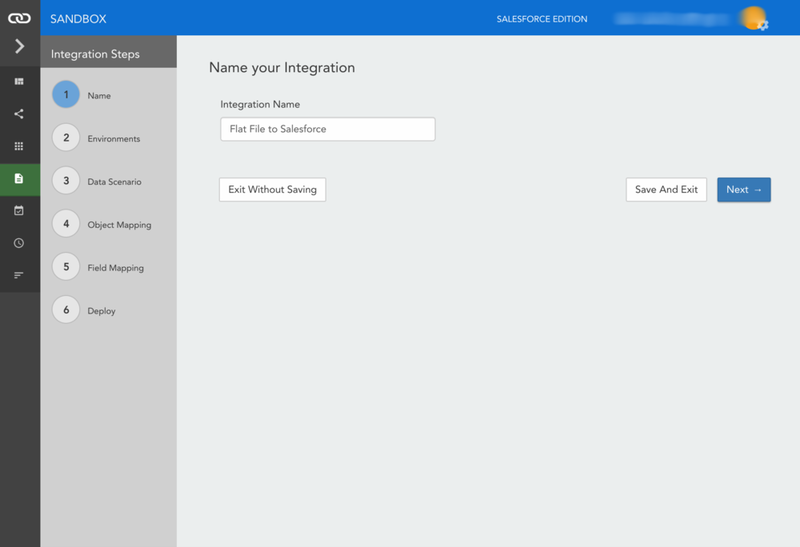 Data migration and integration with Salesforce starts with flat-file data loaders. 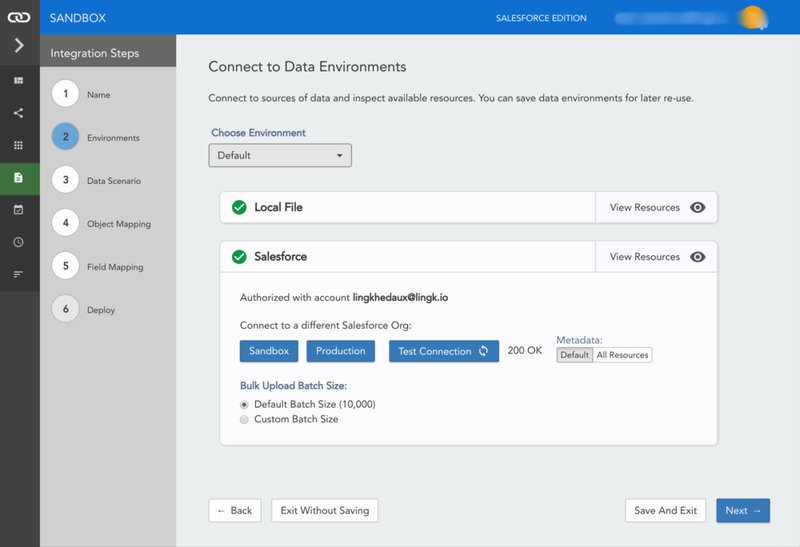 To load flat-file data into Salesforce (even one-time) requires mapping and transforming the data from your system to the Salesforce data model. Many times this process involves messy spreadsheet manipulations with VLookups to ensure that related Salesforce identifiers are included in the flat-files for loading. All of this can take hours, is error prone, and needs to be repeated for the next data load. The challenge here isn’t just loading the data, but prepping the data to be loaded. A good data loader removes the need for messy VLookups loading. A great data loader removes the need for using spreadsheets for external data mapping and transformation altogether. Building integrations with the Visual SQL Wizard provides a guided visual process for fully populating your Salesforce objects model. Lingk is a great data loader because you can use the power of SQL with SQL Recipes on top of any existing data during the data preparation phase and cleanly accomplish things that a spreadsheet would make messy. As a Salesforce user, you may already know SOQL (Salesforce Object Query Language) or SAQL (Salesforce Analytics Query Language), so SQL concepts are already an important part of using Salesforce effectively. Migrating data from one Salesforce org to another Salesforce org is a critical use case in today's enterprise implementations. Lingk provides powerful Salesforce org to Salesforce org data synchronization through SQL recipes. Become a Salesforce data magician using the power of Lingk. Learn how Lingk recipes are used to accelerate time to insight, customer success and dramatically reduce the high costs of managing flat file processes, system migrations and implementations. The Lingk experience can be embedded into any SaaS platform UX or used natively by data professionals and professional services teams as a powerful data loader, integration and automation tool. Simply reuse recipes from the public recipe library as starting points for creating new private libraries. You don’t need to know SQL to quickly load data into Salesforce. You have the option to build recipes with the Visual SQL Wizard to guide your steps with mapping and transforming data or you can build recipes directly with the Recipe Designer and Editor. Either way, you have powerful reusable recipes loading data at your fingertips. Recipes can be run immediately, scheduled by day, hour or minute, and triggered with a REST API. Environments centralize the use of connectors and credentials to reduce the risk of errors and enable multi-environment deployment processes. Metadata from connectors used with the planning tool and SQL recipes enable faster and easier integration. Schedules and Events enable time and event-based triggering of recipes. With Lingk, the whole process is under one easy-to-use umbrella. As team members come and go, managing multiple integration projects can be very challenging. For organizations, workspaces enable each project to have it's own collaborative space to bring people and processes together. For technology providers, each workspace can represent a customer engagement - bringing all your implementation, professional services, and support operations together.